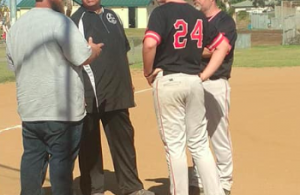 MISSION VIEJO (1-31-2019) – In a long day (and one game, an evening) for Pacific Coast Athletic Conference, only one local school had a legitimate chance of winning. However, San Diego Mesa College allowed a 4-0 lead to slip away, as host Saddleback claimed a 5-4 win in a night game Wednesday (Jan. 30) at the Gaucho Softball Complex. Mesa scored three runs in the opening inning and another in the second inning for a 4-0 lead. The Gauchos finally woke up in the bottom half of the fourth inning, scoring a run to cut the deficit to 4-1. Saddleback then scored three times in the fifth inning to tie the game before scoring a go-ahead run in the bottom half of the sixth inning. In the ffith, the Gauchos took advantage of a number of miscues by Mesa’s defense. Naomi Varela led off the inning with a walk and then back-to-back singles from Vanessa Alvarran and Jillian Gellatly cut the lead to 4-2. Tori Mikkelson then walked to load the bases with no outs. The Gauchos then had some misfortune when Dani De la Fuente was called for batter’s interference for the first out of the inning. Paige Welk then sent a fly ball to center field for a sacrifice fly, but when the throw to the infield sailed wild, a second runner scored. Then in the sixth, with runners at second and third base with two outs, Shay Saoie walked to load the bases, the Mesa pitching staff plunked De la Fuente with a pitch, forcing home the go-ahead run. Mesa’s early run came on a 3-run single to center field by third baseman Andrea Wright, a freshman out of Patrick Henry High. 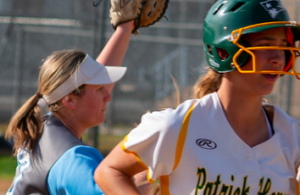 A pair of PCAC schools suffered losses via a 1-hit shutout. 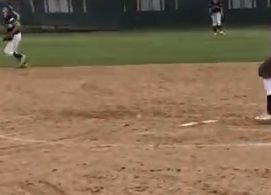 At College of the Desert, Chaffey pitcher Veronica Macias did not strike out a batter yet took a 5-inning, run-rule win over the Lady Roadrunners in their opener, 10-0. Meanwhile, in Riverside, sophomore pitcher Brianna Arroyo of the host Tigers stopped regional rival San Bernardino Valley (0-5), also by run rule, 9-0. Arroyo was good in striking out three for unbeaten Riverside (2-0). Also, visiting Santiago Canyon led San Diego City, 5-1 in the fifth, when the computer went down. The final results should be posted by Thursday afternoon.